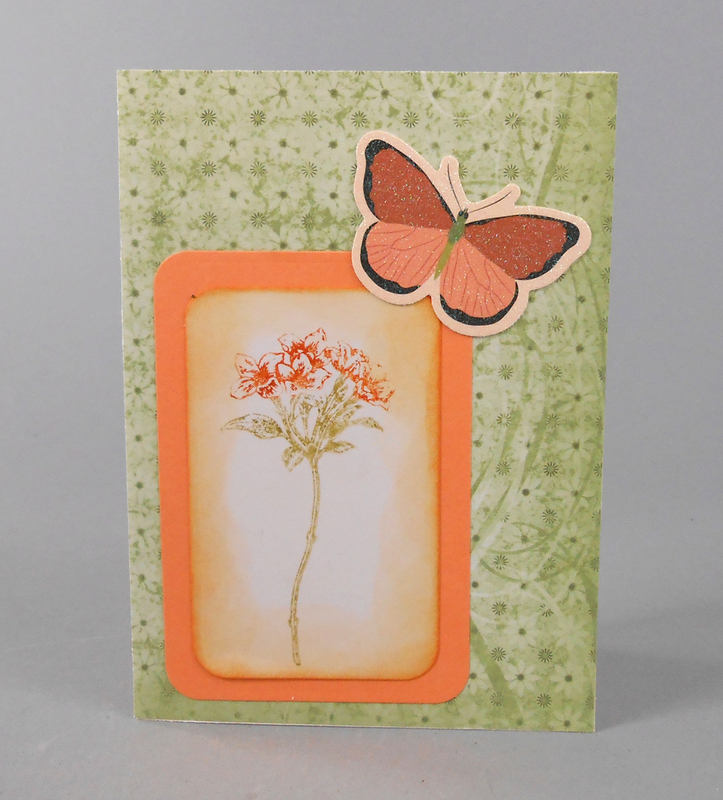 At a recent family gathering, we played with some of our new Stampin Up sets. My sister received the Avant Garden and Artistically Asian. I tried a coloring technique on these stamps, using Tim Holtz Distress Markers. I colored the parts of the stamps in the shades I wanted, breathed on the stamp to add back moisture, then stamped the images. It resulted in a watercolor look that I like. 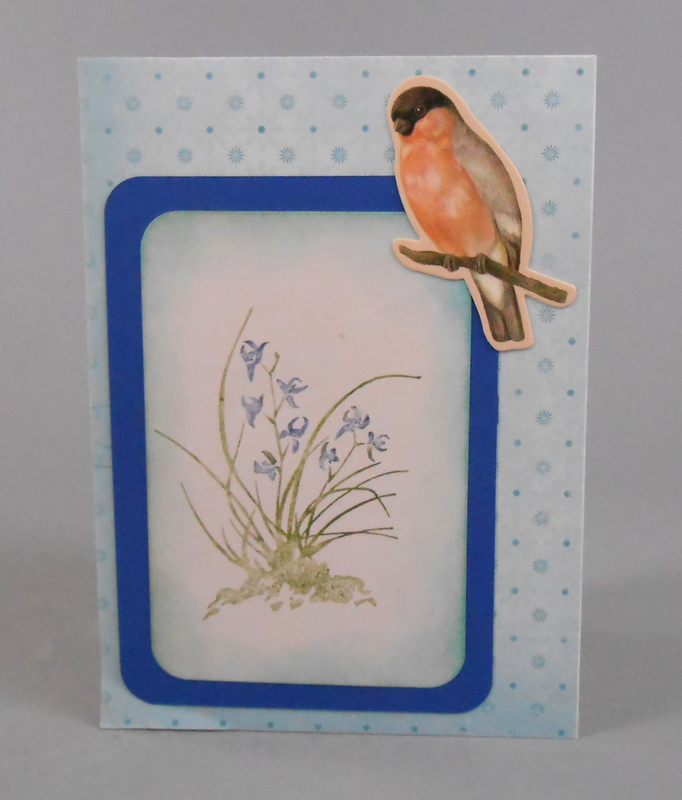 (Avant Garden) I used a Spellbinders nestabilities rectangle set to cut each of the stamped images and coordinating color mats. 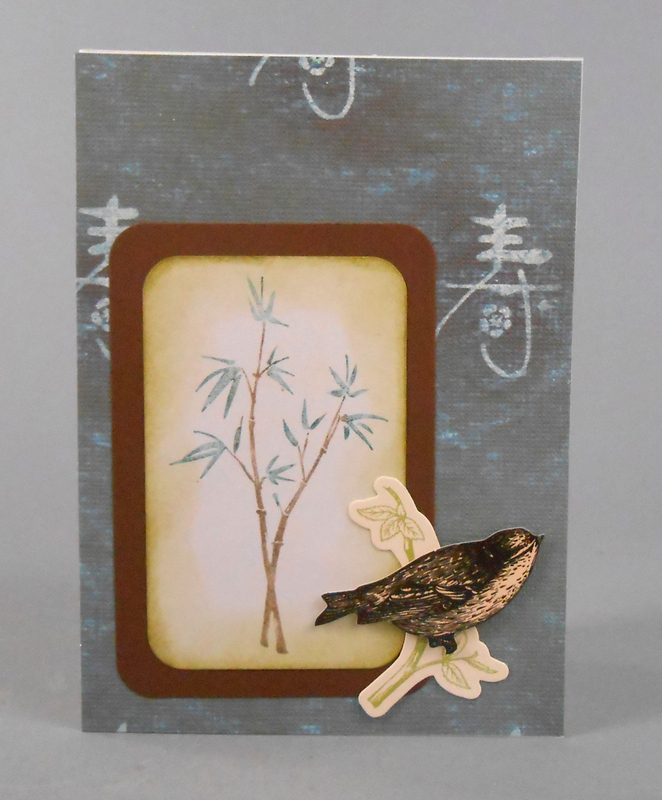 (Artistically Asian) The floral images were accented with distress ink shaded onto the edges. (Artistically Asian) The matted images were then mounted onto patterned papers from my stash. (Artistically Asian) Finally, each image was accented with a large sticker. These were found at a local dollar store. They are very nice, made from heavy cardstock. Four more cards into the stack. It’s nice to have a box full of completed cards. I had two friends who recently lost their husbands. 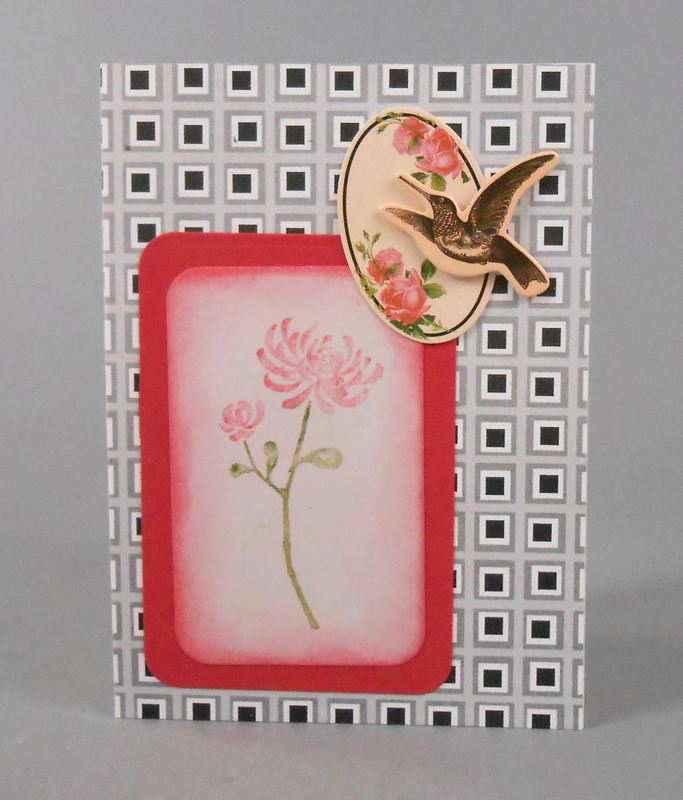 I was able to pull out a nice card, add a sentiment and a note inside and get the card sent to them in a timely manner. Perhaps I should make cards in bulk every year.